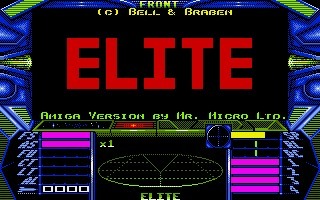 Elite is a famous space flight and trading sim created by David Braben and Ian Bell (with their company, Mr Micro), published by Acornsoft and Firebird, and released for several home computers starting from 1984. 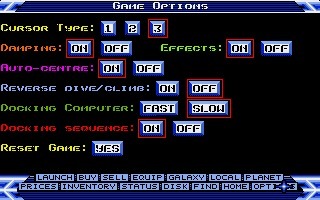 The development of the game, one of the most influential and innovative titles ever created, started on an Acorn BBC Micro. 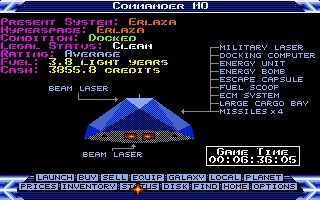 Bell and Braben developed the game entirely in assembly language to be able to pack all features in the limited memory of this 8-bit computer. 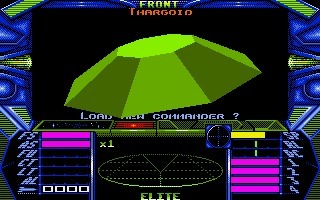 Elite featured a revolutionary wireframe 3D graphics and open-ended gameplay based on exploration and trading set in a procedurally generated universe. 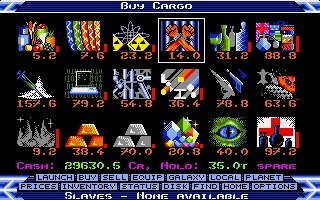 The success led to the porting to almost all available platforms, including Commodore 64, ZX Spectrum, PC, Amiga, Atari ST, and NES. 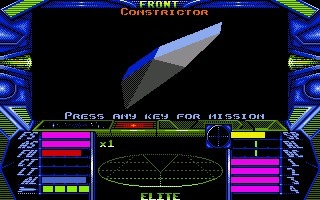 Bell and Braben themselves programmed the other versions for the 6502 microprocessor computers, including the Commodore 64 one, which was the version that first introduced the iconic music of the "The Blue Danube" played during the docking (an homage to 2001 A Space Odyssey). 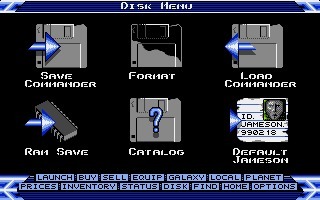 Interestingly, the PC port was developed by another famous name in the history of video games: Chris Sawyer, designer of the RollerCoaster Tycoon series. 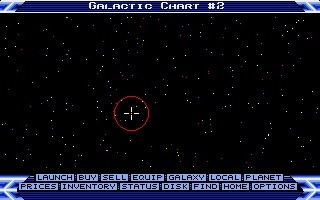 On the Amiga, the game is faster and has better graphics, but it didn't include many other improvements compared to the 8-bit versions. 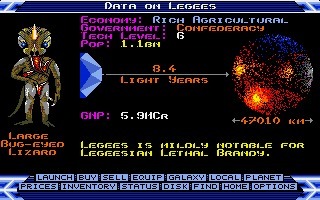 To have a real step ahead, fans would have to wait until the legendary Frontier: Elite II, created by David Braben (this time without the help of Ian Bell). 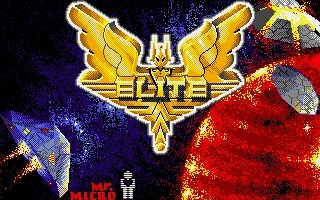 Elite is a masterpiece and a game that made history. 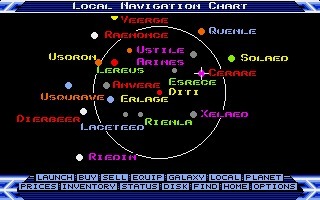 If you haven't tried it yet, it's time to do it.